Professional Gardening & Planting Services – Call Us Today! Balancing the colour and tranquil nature that gorgeous flowers and plants radiate, you may also want to include some tree or shrub options in your garden design. We ensure the proper planting process is followed, as this is critical to the tree’s growth and development. Couture Landscapes will customize the tree planting design based on your specifications. Careful handling and proper planting techniques are critical to tree survival and success and so our experienced landscaping experts have been trained to do the job correctly ensuring your new tree grows strong. Our gardening and planting service includes the planting, watering, and the clean up. Worried that your new or existing gardens will lose it’s appeal? With our full array of landscaping maintenance services, custom-designed to fit your ongoing needs and budget, you have nothing to worry about. 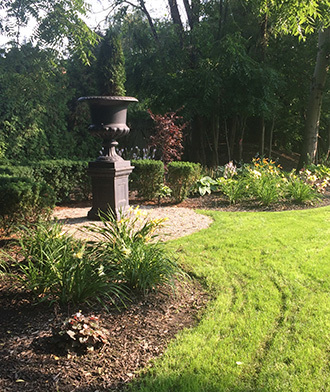 If you need of gardening or planting in the Oakville, Burlington, Milton, Etobicoke or Mississauga areas – please call Couture Landscapes at 416-707-9492 today for a hassle-free quote.